Local Nimbin legends say that the anonymous man who stands atop the FOUR20 Kombi leading the 420 Global Marijuana March at MardiGrass is the man most responsible for FOUR20 in Australia and he helped to build it into a global movement making Nimbin and the H*E*M*P Bar a mecca for the FOUR20 movement and a FOUR20 in the H*E*M*P Bar has been a must do on many international tourist lists for decades. Also 420 divided by 10 = 42, the answer to the ultimate question of the meaning of Life, the Universe and Everything in the Hitch Hikers Guide to the Galaxy. Its definitely a global peace movement uniting smokers who light up at FOUR20 knowing that millions of people world wide are doing the same thing at the same time, thinking peace for pot and pot for peace and ways to achieve it. 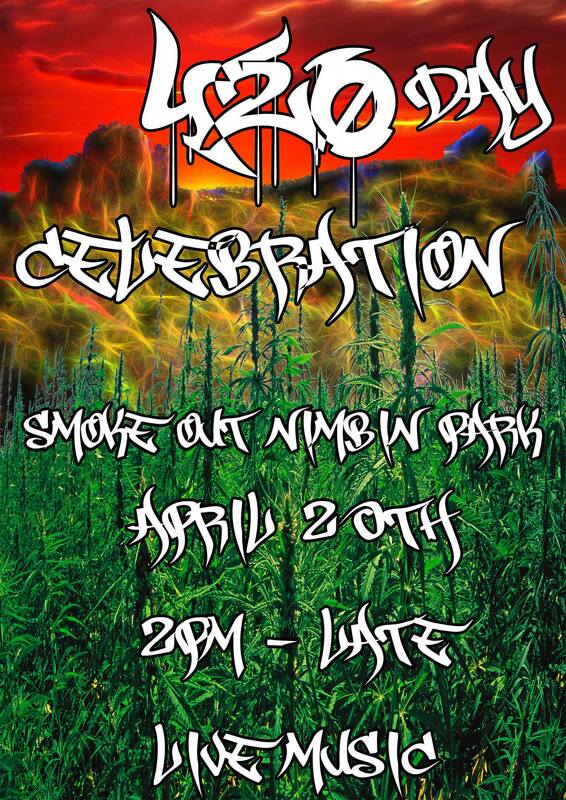 The actual “Four Twenty Day” came about as a “thing” in America because when Americans write the date, the month is put first, thus making April 20 appear as 4/20. 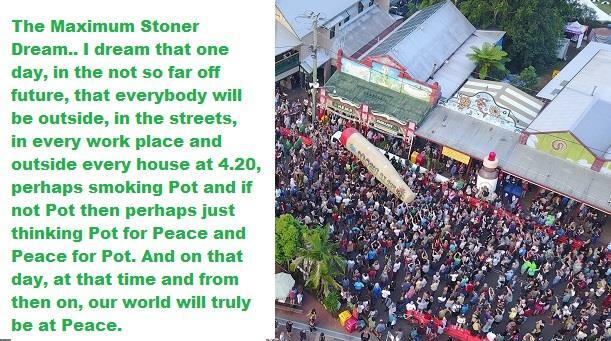 These days Four Twenty is recognized the world over and seen as Cannabis Christmas, Easter and New Years Eve all rolled into one thus, when all is said and done, the 420 fits so well with values held close to Nimbin’s heart that we are happy to invite you all to celebrate pot, peace, music and happiness Easter Saturday in the ‘Bin Easter Saturday 2019.